Aesop Rock And Kimya Dawson Showcase Their Strengths As The Uncluded, the two cancel each other's weaknesses — Dawson gains heft, while Aesop Rock lightens up. Critic Robert Christgau says the collaborative album is almost like two halves of a whole. The Uncluded features Aesop Rock and Kimya Dawson. 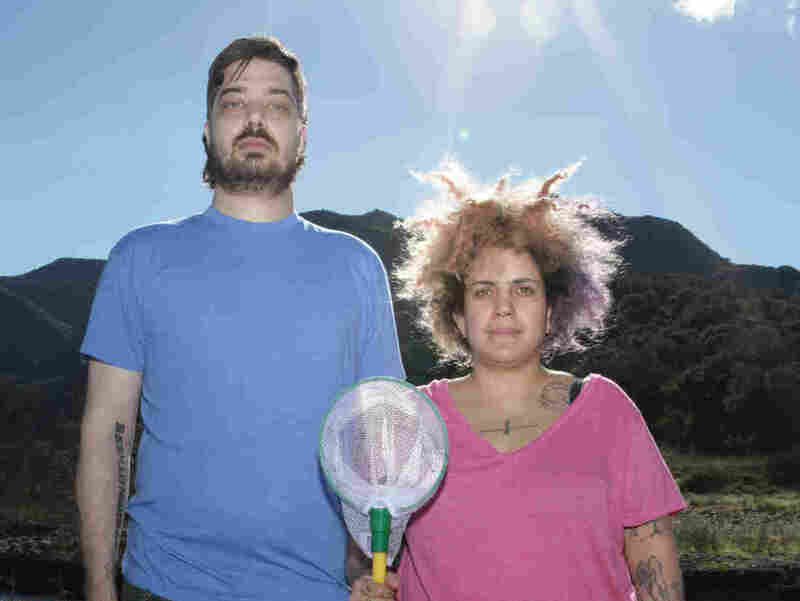 Kimya Dawson and Aesop Rock both grew up in the New York suburbs and reside in the Pacific Northwest, but they only met after Aesop sent Dawson a fan letter; they eventually evolved into a duo they call The Uncluded. 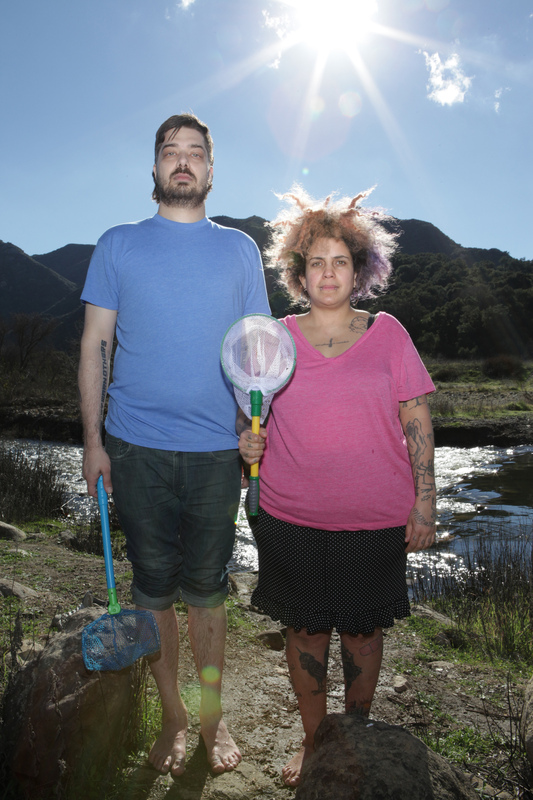 Aesop Rock is a brainy alt-rapper, Kimya Dawson is a playful folk-punk, and both are headlong word-slingers. The difference is that Dawson overflows where Aesop overthinks. I've loved Kimya Dawson's tiny voice and confessional candor since she surfaced with The Moldy Peaches in 2001. But her strophic stanzas and childlike tunes get repetitive enough that you could grump about her self-parody if you wanted. For me, that's more Aesop Rock's problem; he's so committed to his own IQ that he refuses to be humorous, clear or nice. As The Uncluded, however, the two cancel each other's weaknesses — Dawson gains heft, Aesop lightens up, and both let their creativity reign. Dawson, 40, has always written a lot about childhood, including her own. Aesop, 36, often recalls how he came up, as well. In "Jambi Cafe," a young Kimya face-plants at a skating rink and Aesop comforts her with candy. For all their gifts with words, their Hokey Fright album wouldn't mean much if it wasn't enticing as music: Aesop Rock's beats anchoring Kimya Dawson's catchy ditties, each comping vocally under the other's parts. Even better, however, is when The Uncluded join together in song. It's almost like they're two halves of a whole — which they are, a rare and welcome thing.